Finally, a book that provides information, step-by-step exercises, support and inspiration to heal the wounds of childhood sexual abuse written by a psychotherapist who herself is a survivor. Therapy can be expensive and support groups are practically non-existent. 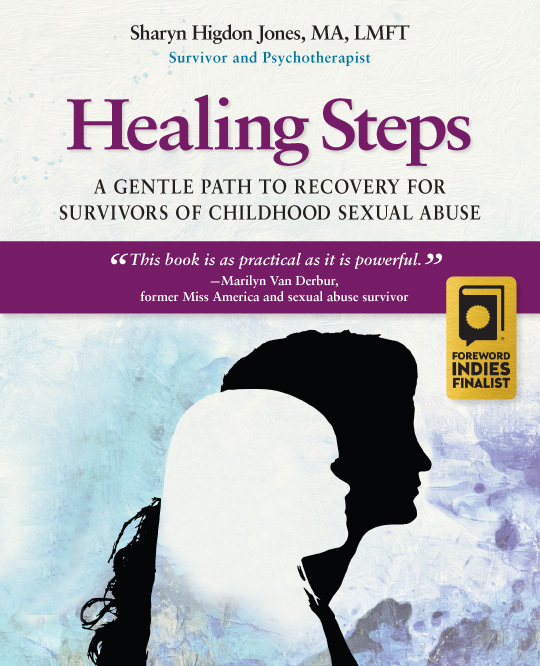 Now there is an opportunity for every woman who has been sexually abused as a child to have access to this healing process through the new book, Healing Steps: A Gentle Path to Recovery for Survivors of Childhood Sexual Abuse. Healing Steps: A Gentle Path to Recovery for Survivors of Childhood Sexual Abuse? It is surprising that in this age of abuse-awareness, the #MeToo movement, and with movies such as The Tale receiving such critical acclaim, there is still a lack of resources for women who were sexually abused as children. Healing Steps: A Gentle Path to Recovery for Survivors of Childhood Sexual Abuse offers tools to guide you through the pain and confusion of your own personal healing as well as some solid information to help you answer any questions you may have. There is inspiration and support from women who have struggled with their own recovery and you will be offered the same processes that helped them achieve their goals of a more balanced, less pain-filled and more fulfilling life. Healing Steps offers counselors, therapists, social workers, etc. a step-by-step guide to assist you in your work with sexually abused clients. Chances are you have not had training in childhood trauma and specifically in sexual abuse. Research shows that 56-70% of clinicians have not had training in working with survivors although 80% of professionals state that they would like more information and training. Healing Steps not only provides information about sexual abuse but also offers a process to use in your own practice either with individual clients or in a group setting. There are exercises, visualizations, and homework assignments that can enrich - and hopefully inspire - your work with your abused clients. There may be a support group in your area to help you as you move through your own healing steps. But if not, why not start one? Healing Steps is a perfect step-by-step process that evolved out of groups of women molested as children. It is the perfect format either to be facilitated by a mental health professional or could be used as a guide in a peer support group as Deb suggested. Just begin with Step One, read through the material at your own pace and use the exercises as homework. At the next meeting, review the homework and the experience of the participants as they did their exercises over the week. And so on through all the Steps. There is no one that understands the complexities of sexual abuse better than another survivor. Healing Steps is as practical as it is powerful. Within the pages of this book/workbook you will find information, personal stories, and practical exercises to move you toward your own healing. You would not begin a journey without a map nor should you begin your personal journey without a guide. This is it – everything you need to accompany you on your way to healing and recovery. Healing Steps is the most important gift I have ever given myself. Before Healing Steps, I didn't even realize I’d passed over fundamental aspects of my development that I needed to be a whole person. Now I can go back and take what is rightfully mine and not feel anything but good about it. The shame and the guilt are becoming only memories. Healing Steps is different from any book on sexual abuse I’ve ever read!! It’s like sitting down with someone who has your back - who ‘gets it’ - who knows her stuff. Take it slow, take it easy, but do not miss this opportunity to help yourself heal and be stronger than you thought possible! As a massage therapist who is certified in Trauma Touch Therapy, I know the effects of sexual abuse when it is ‘trapped’ in the body. The abuse certainly has an impact on the body but the emotional remnants are also stored in the body until they are healed. 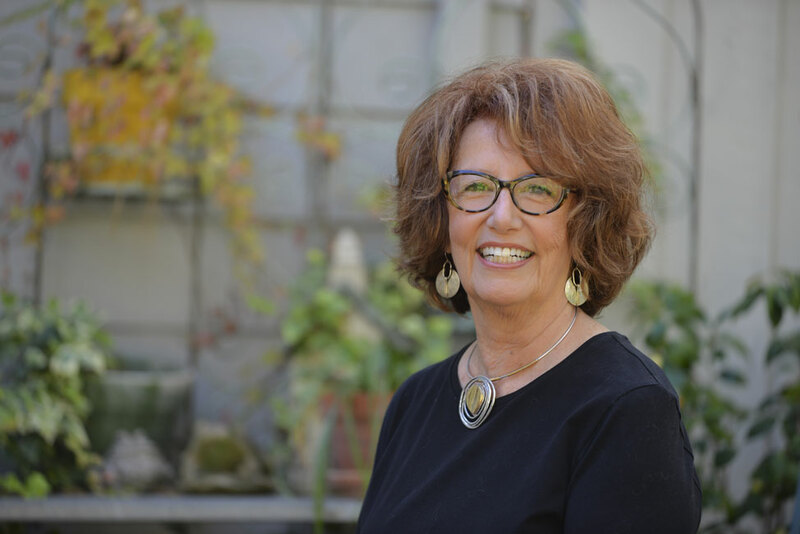 Over the years I have treated many of Sharyn’s clients and am so glad she has finally presented her healing tools in a book that can reach so many survivors. Healing Steps doesn’t just give you valuable information and helpful exercises but her book walks with you step-by-step through your healing process. There is helpful information and processes for anyone even if they have not been abused. That was the experience for me. After I read her initial manuscript, I did not want to return it to her – I felt I was losing a companion on my own inner journey. As a survivor, one of the best things I ever did for my healing process was to take Sharyn’s Healing Steps group workshops. When I heard that Sharyn had written a book based on her groups, I couldn’t wait to read it. As I read her book, I actually felt like I was back in her workshops. I always wished that every survivor could have benefited from her workshops like I did. Now every survivor can. By writing this book, Sharyn has made my wish come true. Thank you, Sharyn! Healing Steps: A Gentle Path of Recovery for Survivors of Childhood Sexual Abuse has such powerful information about the Inner Child – how to find her, connect with her, be with her. The more I learned about my Inner Child, the more I learned about me. I couldn’t know who I really was, be happy, or feel whole, without her. I also couldn’t be the good parent I am today without first learning how to be a good parent to myself. Healing Steps saved my life. Thank you for being a great start that has illuminated every step of the way for me. I am amazed by, and grateful for, my happiness every day. That is exactly what Healing Steps: A Gentle Path to Recovery for Survivors of Childhood Sexual Abuse is about. It is about the untangling of one’s self from the web of erroneous beliefs, the unjustified feelings, the distortions and pain, that have limited the truth of who you are and what you are capable of in your lifetime. Healing Steps is written with compassion, with understanding and with purpose. You are one step away from experiencing what one survivor says is “the most important gift I have ever given myself”. If you are in distress and need support, call 1-800-656-HOPE (4673) to be connected with a trained staff member of RAINN. You can also visit online.rainn.org to receive support via a confidential online chat.